Okkultokrati's debut release "Knarkskog" is back, now on the third pressing. 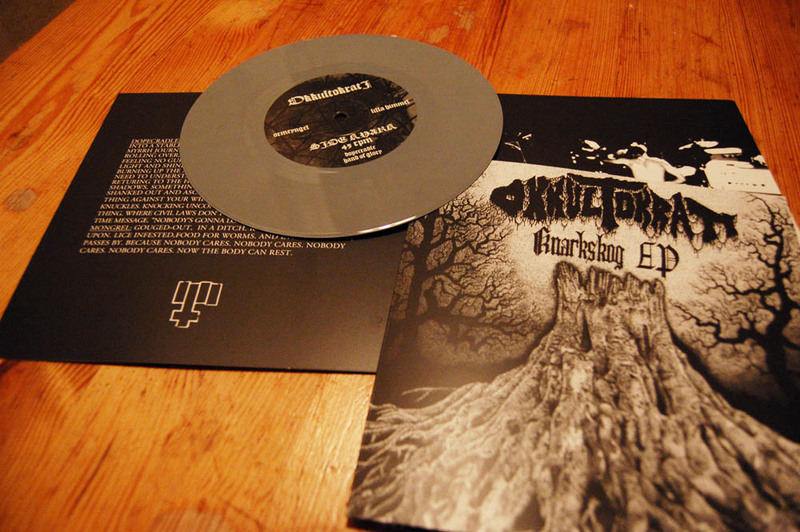 Solid grey vinyl this time, 300 copies. Norwegians can get it at shows or from Tiger, as usual. Wholesale through Lilla Himmel. Also available from Ormeyngel.